A refreshing end to a festive menu, these sorbet snowmen from Alyn Williams' are sure to raise a smile from your guests. 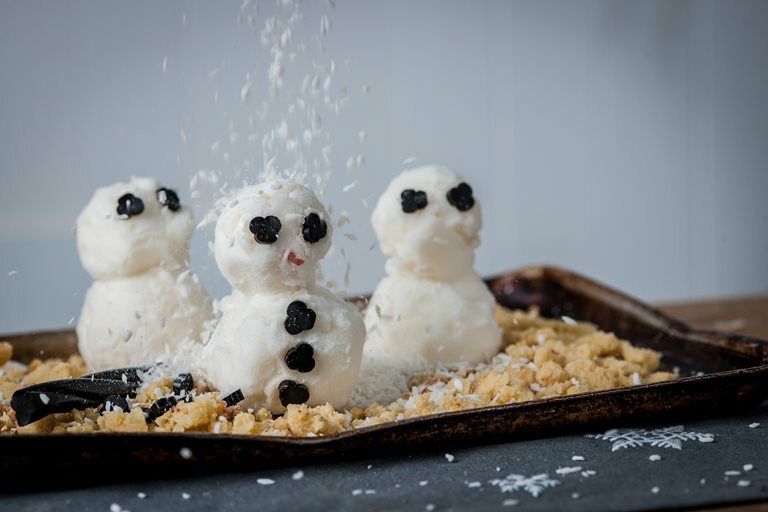 Delicious lemon sorbet is shaped into snowmen, and served on a bed of coconut streusel and dusted with coconut ice. Liquorice sticks are perfect for decorating the snowmen, but if not to your taste, try using chocolate drops or pieces of orange peel.